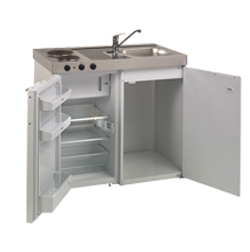 They make a perfect space saving solution for office break rooms, building site offices, garages and workshops. 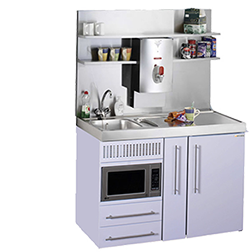 Our Tiny Tea Station features a highly efficient hot water boiler, that delivers hot water all day, every day. 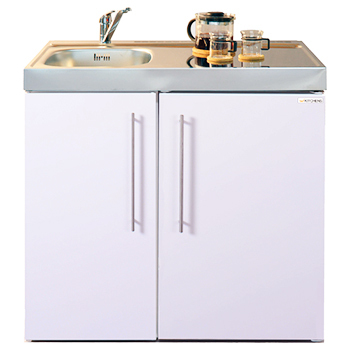 Its contemporary design complements the stainless steel work top and shelving ensures plenty of storage for cups, saucers and mugs, as well as the necessary ingredients for the Great British tea break. 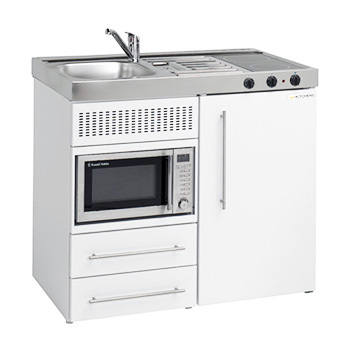 Our Stylish Tiny Kitchens are supplied as complete compact and very durable mini kitchen units; simply move into position, connect to the water supply, plug in the appliances and your kitchen is ready to use, saving valuable time and money. 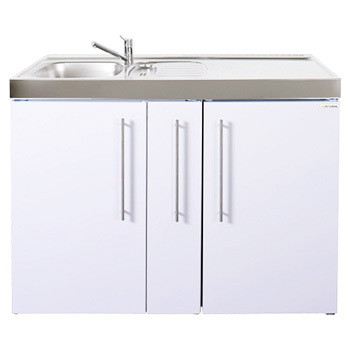 Our Mini Kitchens are economical and quick and easy to install and maintain with superior powder coated steel construction, these make our kitchens a very popular choice. 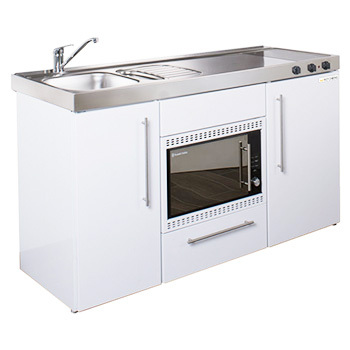 All kitchens come with a 3 year build warranty and appliances are covered by the manufacturers warranty meeting all Britsh and European Safety Standards.